We are spoilt by the ease of driving and the handling of modern cars so the new Sevener must accept that the Seven cannot be driven in the same way. 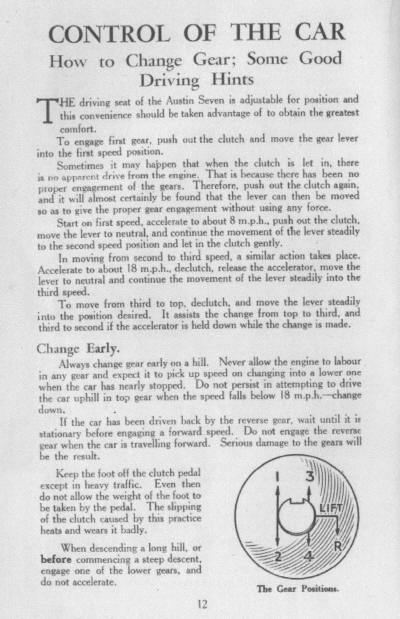 It has to be driven as it was meant to be driven in the 1920/30s. On today's roads observation all around, and anticipation, is important - even more so in a slow car. Other drivers can brake and stop very quickly - a Seven cannot, nor can it accelerate out of trouble. Once you become used to transferring from a modern into a Seven you will be fine. 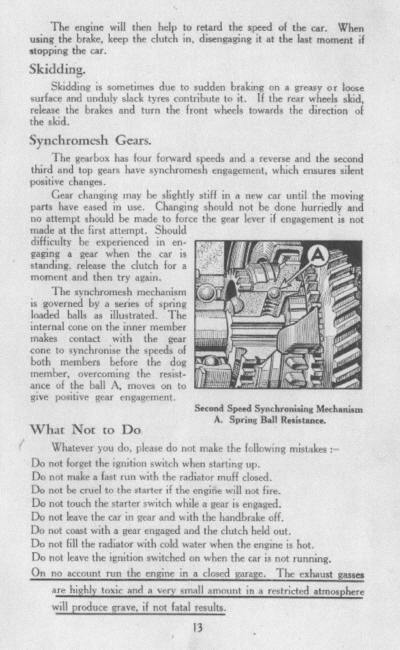 Until 1932 Sevens had 3-speed crash boxes, then the 4-speed crash box until 2-synchromesh was introduced in 1932 and therefore driving techniques are a little different. 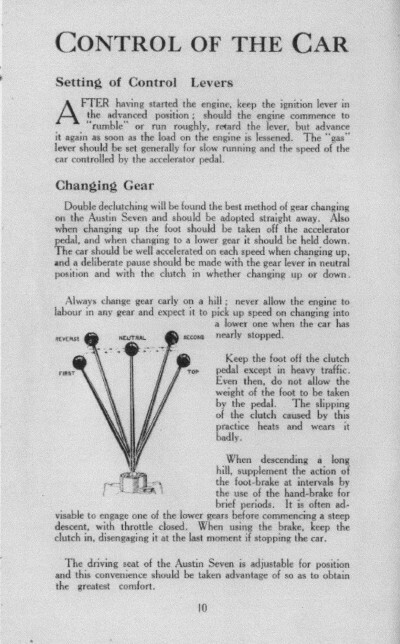 It is necessary to consider the skills of gear changing; of braking and steering/cornering. 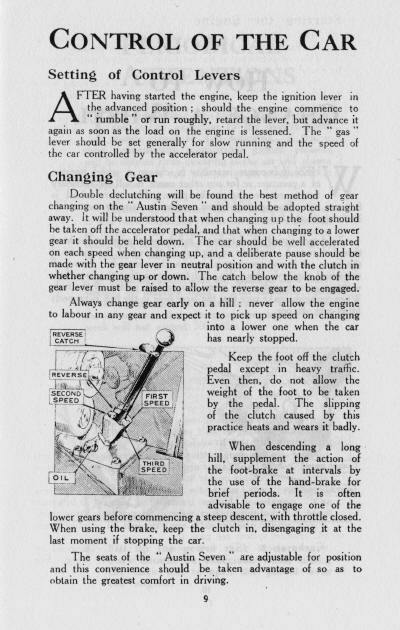 Double declutching is not mandatory so long as the gear stick (gear selection lever) is moved slowly across the gate and engine revs are controlled according to road speed. Whenever possible use downhill momentum to gain speed for the coming hill and then change down early. When descending a steep hill do not rely solely on the brakes, select a lower gear and use cadence braking. Sevens do not corner at speed, slow before the bend; it is better to be slow through a bend than to go off the road!